It's been a while since I did any photography mostly because my camera still won't work in manual mode. I took it in to get serviced at Toronto Camera Service but through general incompetence they took 2 months and repaired a part that wasn't broken. Was there was no eta available for the actual part that needs fixing. Got my camera back and now I'm operating in aperture priority or shutter priority mode until I can afford to send it to Panasonic directly. 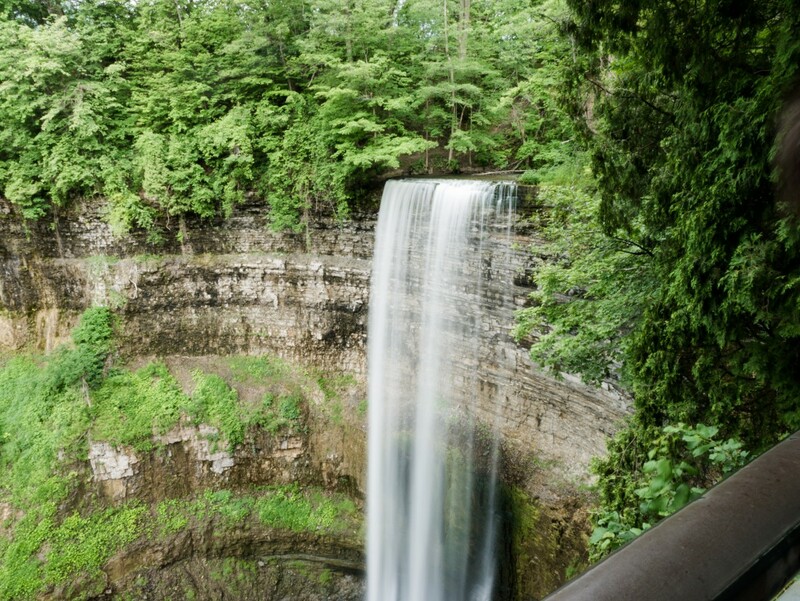 This shot was taken near Hamilton at Tew Falls on a short road trip our family took for Canada 150 celebrations.